Welcome to the last column of the year. It’s been a big year for women’s sport (but isn’t every year?). I’ve tried to reflect that in the best way I know how, and looking back over the last twelve months, I’m pleased with the breadth of stories I’ve been able to include. I hope you’ve enjoyed it too. So without further ado, let’s crack on with stories from speed skating, rugby, netball, cricket, Aussie Rules and Australasian sports administration, football, golf, boxing, cycling, bowls, taekwondo, the BT Action Woman Awards and SPOTY. This week’s “And finally” is probably predictable, but bears repeating one more time…. Bristol won again this weekend to leave them top of the table over the Christmas break. As ever, a longer round-up of these matches, written by me appears on the Women’s Sports UK website. Wales’ women won a silver medal in the triples at the World Bowls Championships in Christchurch, New Zealand this week. Anwen Butten, Kathy Pearce and Emma Woodcock were beaten in the final by Carla Krizanic, Natasha Scott and Rebecca Van Asch of Australia. They had beaten England (16-12) and Malaysia (18-16) on the way to the final. Good news for Aussie rules fans this week as it was announced that every game in the inaugural AFL women’s competition will be shown live on television. Fox Footy is to show all 28 league games and the Seven Network will broadcast eight prime-time matches, including the first game of the season and the Grand Final on 25 March. The action begins 3 February 2017. Not sure if they will be streamed in Britain, but nevertheless it’s great news for AFL fans. 1) Kate Palmer has been appointed the Australian Sports Commission’s first female chief executive. She joins after an historic spell as the head of Netball Australia, in which she brokered a landmark pay deal for players and also oversaw a huge increase in revenue for the sport. 2) Dr Farah Palmer, three-time World Cup winning captain has been elected to the Board of New Zealand Rugby. She is currently a member of the New Zealand Maori Rugby Board and will replace the former Maori representative, Wayne Peters, who has retired. “Women on sports boards” seems to be the in-vogue cause at the moment. Not surprising really, as the current percentage of women on sports boards in the United Kingdom is 30%, having risen from 21% in 2009. There is progress, undoubtedly, and more needs to be done. Personally, I’m still more concerned with lack of media coverage which stubbornly stands at 7%. But progress cannot not be concentrated on a single issue and we should celebrate any victories we achieve, however small. 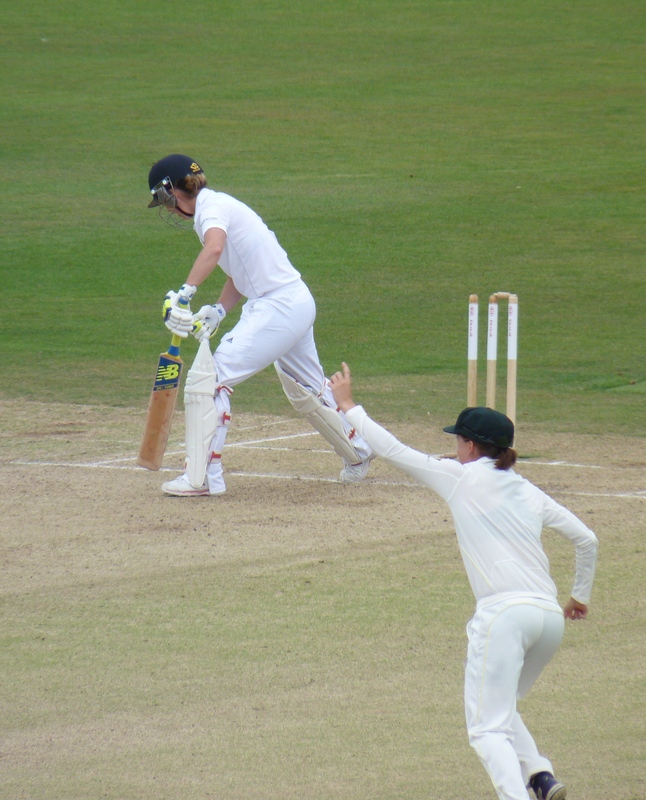 Tammy Beaumont, Katherine Brunt, Kate Cross, Georgia Elwiss, Natasha Farrant, Jenny Gunn, Alex Hartley, Danielle Hazell, Amy Jones, Heather Knight, Beth Langston (rookie contract), Laura Marsh, Natalie Sciver, Anya Shrubsole, Sarah Taylor, Fran Wilson, Lauren Winfield, Danielle Wyatt. Becky Grundy has lost her contract and Charlotte Edwards and Lydia Greenway are no longer a part of the set-up having retired from international cricket last season. Just when you’re feting all things Australian, Cricket Australia drops an enormous clanger. The executive general manager of strategy at Cricket Australia has confirmed that female cricketers’ new one-year contracts will have a clause that will require them to “warrant” that they are not pregnant when they sign. They insist that the clause is there “for the player’s safety and that of their unborn child” and that that any disclosure would be confidential and made to the medical officer. Female players are also excluded from the parental leave policy, although women in non-playing roles can have four to 12 weeks’ paid leave. And, as ever, although things are improving, there is a great discrepancy in pay; the national minimum for men is $270,000 excluding superannuation, but for women it is $40,000 including superannuation. Watch this space for further fallout. The ceremony for the BT Action Woman of the year took place this week. Winners of Team of the Year were the GB Hockey team for their brilliant gold medal in Rio. Katherine Grainger won a Lifetime Achievement award, which she knew nothing about and looked a bit grumpy about to start off with! Winner of Action Woman of the Year 2016 was mountain biker Rachel Atherton. She won all seven rounds of the UCI Downhill Mountain Bike World Cup this year and took the world title for the fourth time. Katie Taylor won her second professional bout against Viviane Obenauf of Brazil last week. She won on points 60-53. Obenauf was knocked down in the second round and also suffered a cut near her left eye, but she managed to take it distance before being outpointed. It was announced this week that New Zealand will play Wales in two test matches in February 2017. The two games will take place at the Sport Wales National Centre in Cardiff on 7 and 8 February. Although the main event is not broadcast until 18 December, the winner of the Young Sports Personality of the Year award has already been announced. Swimmer Ellie Robinson is this year’s winner. She won a gold medal and a bronze at the Rio Paralympics aged just 15. She won the S6 50m butterfly in a Games record time and broke the British record in the 100m freestyle to take bronze. Earlier in the year Robinson had bagged one silver (50m butterfly) and three bronzes (50m, 100m and 400m freestyle) at the IPC European Championships. There was plenty of success for Britain’s women at the World Grand Prix Final in Baku last weekend. Charlie Maddock set the ball rolling as she beat Olympic champion Sohui Kim in the -49kg to take gold. Jade Jones and Bianca Walkden followed suit on Saturday as Jones beat Hedaya Malak of Egypt in the -57kg final and Walkden defeated Zheng Shuyin of China to take gold in the +67kg category. Rachelle Booth lost to South Korea’s Lee Ah-reum in -62kg bronze-medal match. Great Britain’s Elise Christie won double gold at the World Cup event in Shanghai last weekend. She won the first of two 500m races in 43.590 seconds and took the second in 42.590. Christie leads the 500m overall ranking from Fan Kexin from China and Marianne St-Gelais of Canada. Shanghai is the third in the series of World Cup events. The fourth is in Gangneung, South Korea, from 16-18 December. Shanshan Feng won a record fourth Dubai Ladies Masters at the weekend. She took the title on -10, two ahead of England’s Charley Hull. Going into the final round, Felicity Johnson was leading, but she faded in the last carding a three over 75 to finish six shots off the lead. The dispute between British Cycling and cyclist Jess Varnish continues. After last week’s revelation that only one of nine of her complaints against Shane Sutton was upheld, Varnish has now requested that British Cycling release her personal data under the Data Protection Act so that she can see Sutton’s text messages and the organisation’s report into his conduct. I feel there’s still probably plenty to come out of this story yet. David Parker resigned as Birmingham City ladies’ manager on Monday. He had been in charge for five years. There was no delay in announcing his successor as the WSL1 club announced they have appointed Marc Skinner to the post. Skinner had been director of the Blues Ladies’ centre of excellence. After a period of silence it has been announced that former England captain, Casey Stoney, has signed for Liverpool Ladies. She left Arsenal at the end of the season causing much speculation as to her future plans. It was announced this week that WSL2 will introduce relegation for the first time in the 2017-18 season, when the league swaps to a winter season. This means that the bottom team will drop into the Women’s Premier League. In other WSL news, the league has also revealed that applications for WSL licences for the 2018-19 season will only be open to the existing clubs. If, however, a club fails to meet the specified criteria, other clubs will be allowed to apply. Whilst any increase is welcome, make no mistake, this money is still just a drop in the ocean when it comes to running a WSL club. As I reported last week, the Nigerian women’s football team is currently fighting for outstanding payments due to them after they won the Women’s Africa Cup of Nations on 3 December. On Tuesday, one of the players, quoted anonymously by the BBC, said that they are prepared to continue their sit-in at the Agura hotel until they receive all bonuses, believed to total £23,650 USD per player. The NFF is directly funded by the Nigerian government and is currently strapped for cash after Nigeria slipped into recession in August. But the Super Falcons coach, Florence Omagbemi and her assistants have only received one month’s pay since March. “We know we have financial commitment to you (players and officials of Super Falcons) and we have not at any time stated otherwise. But the money is not readily available. “I have come to appeal to you, to understand the situation of the federation, to understand the situation of the country at the present and exercise patience. And finally, I’m sure you’ve all seen it already but it’s three boos for the Football Association this week (God bless ‘em). Allowing girls breaks so they can check their phones. Not saying anything else. Don’t need to, do I? As I said at the beginning, that’s all for this year. 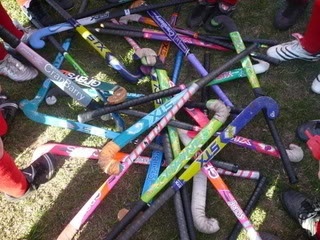 I’m currently writing a history of women’s field hockey for WiSP Sports, so please check in to read that if you’re so inclined. Also next week, although there will be no column, I am publishing something which means a lot to me. Earlier this year I interviewed someone and got some great copy. I tried to sell the resultant article but to no avail. Although he has now moved on from his post, the subject of the article has just read it and he loved it, so I would like to reproduce it on my site. Look out for it – I’m really happy with it and I hope you like it too. Welcome to this week’s column. As usual there are plenty of great stories and good news out there this week, but I start with a crushingly awful story – something I never thought I’d have to write. And it’s back to the sexist rubbish we all have to put up with for this week’s “And finally” to send you all off in a good mood! Let’s crack on. Stories this week from football, rugby, Fast5 netball, ice hockey, golf, cricket, cycling, tennis and speed skating. This week it was announced that the goalkeeper of the Gambia’s women’s national side died crossing the Mediterranean on a migration boat from Libya. More than 3,300 migrants have died in this crossing in 2016. Jawara, who was just 19, made her debut in 2015 in a friendly against a team from Glasgow. According to UN figures, 60% of the population of the Gambia live in poverty and a third live on $1.25 or less a day. While we in Britain campaign for better pay in sport for women, we should perhaps remember that Britain’s women are in clover compared to others throughout the world. This doesn’t mean we should stop campaigning, but perhaps sometimes we should take a wider view. Mind you, perhaps those male footballers who “live” on hundreds of thousands of pounds a week should also think about it too. We now know that it’s Yeovil and Bristol Academy who will be promoted to FAWSL1 next season. The Lady Glovers secured promotion at the London Bees at the weekend with a 2-0 win. They still have the chance to win the title, but at the moment have to be satisfied with the fact they will be playing in WSL1 next season. After a goalless first half, Yeovil took the lead in the 56th minute through Kayleigh Green. They doubled their lead ten minutes from the end with a goal from Nadia Lawrence. All teams have just one game to go and it is between Yeovil and Bristol Academy for the title. At the moment the Somerset side are top on goal difference. It was also a goalless first half at Boreham Wood, although Arsenal were always in control. The deadlock was finally broken in the 65th minute when Jodie Taylor finished from close range. She got her second eight minutes later to seal the win for the home side. WSL1 champions, Manchester City drew in their last match to ensure they went through the season unbeaten. Birmingham took the lead in the sixth minute through an Aoife Mannion penalty after Andrine Hegerberg was brought down in the box by Lucy Bronze. It took Manchester City until the 54th minute to equalise when Demi Stokes hit the top corner. Chelsea have ensured they will finish as runners-up in WSL1, securing their Champions’ League place in the process. Eni Aluko scored Chelsea’s first and Ana Borges doubled the lead before Lauren Bruton pulled one back from the penalty spot. Aluko scored a second from close range to take the Blues 3-1 up. Melissa Fletcher got Reading’s second in second-half stoppage time, but it was merely a consolation. FiFA has announced the shortlist for Women’s Player of the Year. No British representation, but an impressive line-up. It was round seven of the Women’s Premiership last weekend. Bristol won yet again, but it was another thumping defeat for Wasps. For more details of these games please see my report for Women’s Sports UK. The Fast5 World Series was won by New Zealand last weekend as they beat Australia 41-16 in the Grand Final at the Hisense Arena in Melbourne. The hosts were unbeaten after the league stage, but New Zealand were too strong for the Aussies in the final to take the trophy for the sixth time. England will be happy with their performance. They beat Malawi 43-22 and Jamaica 32-19 in the group games. They only lost by a point to New Zealand, but they lost their second game against Malawi, the play-off, 32-35. Great Britain’s women have never qualified for the Winter Olympics. Now they are just three stages away from qualification for the 2018 Games in Pyeongchang, South Korea. They are currently playing in a qualifying series in Kazakhstan in a round-robin tournament against the home side, Mexico and Poland. In the first match they came from two goals down to win 3-2. Kimberley Lane pulled the first goal back midway through the third period. Saffron Allen levelled the game with just 81 seconds left on the clock and Angela Taylor scored again with a minute to go to clinch the win. GB couldn’t reproduce this form in the second game as they went down to Poland 3-4. This weekend the Track World Cup takes place in Glasgow. Katie Archibald will be looking to continue the good form she showed at the European Track Championships in Paris last month. Archibald will race alongside Emily Kay, Danni Khan, Manon Lloyd and Emily Nelson in the endurance events, but there will be no female sprinters competing. Big news from British Cycling this week as they announced that its ex-technical director, Shane Sutton, was indeed guilty of using sexist language towards Jess Varnish. Varnish alleged that Sutton told her to “go and have a baby” as he was not going to select her for the world class programme. The British Cycling Board found that Sutton “used inappropriate and discriminatory language”. It’s a case that has split British cycling. Victoria Pendleton backed Varnish in her claims while Chris Hoy and Bradley Wiggins expressed scepticism at the alleged comments. Sutton has suggested that he will appeal the decision. Georgia Hall is currently lying in joint second largely due to her second round course record of 64. It was a round that contained eight birdies. The speed-skating World Cup begins in Calgary on 4 November. Top British speed-skater Elise Christie will be hoping that she has a better experience than she had at the Olympics in Sochi in 2014 when she was disqualified three times. Last season she won races at the World Cup and in Europe. She took some time out of training this week to speak to the BBC about her preparation for Calgary. She has been trying out new ideas including racing against men to improve her overtaking skills in the face of greater power. Dominika Cibulkova has taken the end of season WTA Finals title in Singapore. She beat world number one Angelique Kerber in the final 6-3 6-4. She had lost to Kerber at the round-robin stage – in fact she only won one game from three, but she secured her place in the final with a three set win over Svetlana Kuznetsova on Saturday. Meanwhile in Zhuhai, China the top 12 players who didn’t qualify for Singapore are playing in the WTA Elite Trophy. The players are divided into four pools of three with the woman finishing top of each group going through to the semi-finals. Britain’s Johanna Konta confirmed her semi-final place this morning after beating Caroline Garcia 6-2 6-2 in her final round-robin match. She will play Ukraine’s Elina Svitolina on Saturday while the other semi-final will be between Petra Kvitova of the Czech Republic and home favourite Zhang Shuai. All games are shown live on BT Sport. England pace bowlers Anya Shrubsole and Katherine Brunt have signed up for the WBBL. They will both play for Perth Scorchers. Former England captain Charlotte Edwards has already signed for the Adelaide Strikers, while current England captain Heather Knight will play a second time for Hobart Hurricanes. The tournament begins in December and will, according to its website, be covered by BT Sport. England Women’s Squad – run by England Women’s Head Coach, Mark Robinson and Assistant Coach, Alastair Maiden, New central contracts will be announced by the end of 2016. England Women’s Senior Academy – John Stanworth will take up the new role of Head Coach of the England Women’s Senior Academy. 19 players have been selected from 13 counties for the Senior Academy programme, which will be based at the National Cricket Performance Centre at Loughborough. England Women’s Academy – Loughborough Lightning coach Salliann Briggs will lead the Academy programme for emerging talent, which is also based at Loughborough. Centre. 17 players from 10 counties have been selected for the Academy. Regional Development Centres – six Regional Development Centres will be directly aligned to the Kia Super League structure, providing a local base for young players to gain experience. Harvard University, that esteemed seat of learning, has had to suspend its men’s soccer team after it was found that its members had been making copious notes about their female counterparts, not about their footballing talent, but a ratings system based on their attractiveness and what sexual positions they thought the players would prefer. The men’s team, currently lying top of the Ivy League, will now forfeit the rest of its games for the season. It seems that this ratings document was not a one-off but a tradition stretching back to 2012. “appalled that female athletes who are told to feel empowered and proud of their abilities are so regularly reduced to a physical appearance. “beyond disappointed that our season has ended in this way, but we respect the decision made by our administration”. Welcome to this week’s bumper edition of the Women’s Sports Column. There’s so much to tell and discuss this week I don’t rightly know where to start. Plenty of good stuff to come including a few possibly controversial words from me and a pretty impressive (in a bad way) “And finally”. Stories this week come from football, tennis, rugby, cricket, sailing and Women’s Sports Week. Manchester City women made it a league and cup double this week as they beat Birmingham City Ladies 1-0 after extra time to clinch the Continental Cup. The match, unfortunately played on City’s home ground, was never going to be a goal-fest, contested as it was between the league’s two meanest defences. After a goalless ninety minutes it took a header from Lucy Bronze to seal he victory. The crowd was an excellent 4,214. Arsenal overran the league’s bottom side at the Keepmoat scoring five in the process. Danielle Carter opened the scoring after 13 minutes, but they weren’t able to double the lead until midway through the second half when Natalia Pablos Sanchon made it 2-0. Pablos Sanchon grabbed her second on the 84th minute as the Belles crumbled in the face of relentless pressure. Carter took her second three minutes from the end and Kelly Smith made it five on the stroke of full-time. Belles have lost all of their 12 games this season and are doomed to WSL2. Arsenal are still looking to claim next season’s second Champions’ League place by finishing second in the table. Chelsea were totally outplayed in the first leg of their round of 32 match in their first ever game at Stamford Bridge. Hungarian midfielder Zsanett Jakabi scored a hat-trick and in truth there could have been several more in a poor defensive display from the home side. The first goal was down to a defensive mix-up between goalkeeper Hedvig Lindahl and England defender Claire Rafferty in the twelfth minute. Jakabi scored a second before half time and completed her hat-trick just after the break. A crowd of 3,783 saw Chelsea’s virtual elimination from the competition. They play the return leg next week. Munich were far too strong for a young Hibs side at Easter Road on Wednesday. The German side were 3-0 up at half time through goals from Stefanie Van Der Gragt, Vivianne Miedema and Melanie Leupolz. Miedema and Luepolz scored again in the second half and even had the luxury of missing a penalty through Nicole Rosler before Melanie Behringer scored a sixth, again from the penalty spot. A crowd of 2,551 saw the game and the return leg is next Wednesday. Manchester made a winning start to their Champions’ League campaign with a 2-0 home win. Jill Scott scored the first and also had another chance before half-time. But they didn’t double their lead until late on when Lucy Bronze scored a second with a shot from the edge of the penalty area. The second leg is on 12 October. Glasgow endured a narrow defeat in Sweden that they will be hopeful of overturning in the second leg next week. The only goal of the game came through a header from Mimmi Larrson in the second half. The second leg takes place next Thursday and will take place at Airdrie’s Excelsior Stadium. Better news off the pitch for Chelsea this week as it was announced that winger Gemma Davison has signed a new contract until summer 2018. In other football news, there have been two instances this week of players or clubs being brought to book for their attitudes to women. See my “And Finally” for the second, but the first concerns WSL2 club West Ham Ladies. Things have not been good at West Ham Ladies for some time. I reported last year that former Hammer Julian Dicks, who managed the women’s team for the 2014-15 season, finally quit the job after revealing the lack of support offered by the parent club to the women’s side. This week the situation threatened to spiral out of control when the Ladies’ side’s current Chair, Stephen Hunt, lodged a complaint with the FA accusing West Ham of breaking the rules on discrimination. He alleges that promised funds never materialised and that his side have been deprived of facilities to the point where they have had to train by the roadside. They have had to buy their own kit and have not been allowed to find their own sponsors. He also says they cannot afford a physio or a bus to take them to away games. They have been playing in last season’s kits with names on the back crossed out. “Mr Hunt has refused to align with West Ham’s principles throughout his tenure as chairman and has, on a number of occasions, threatened the club. This one is obviously going to run and run and we need to see the parent club taking action as soon as possible to right an embarrassing and unacceptable situation. British number one Johanna Konta is through to the China Open semi-finals after beating home favourite and world number 36, Zhang Shuai, 6-4 6-0. Zhang had caused the biggest upset so far in the last round when she beat Simona Halep. Konnta was 4-0 down in the first set, but won 12 games in a row to take the match in style. She faces eighth seed Madison Keys in the semis. Her performances this week again put Konta in contention for the WTA Finals in Singapore. She currently lies 11th in the ranking, with the top eight qualifying. World number one, Angelique Kerber, on the other hand, is out of the China Open after losing to Elina Svitolina of Ukraine, 6-3 7-5. Off the court, the result of Maria Sharapova’s appeal against her two-year ban for doping was released this week. She has had her ban cut to 15 months. She will be able to return to the court on 26 April 2017. “I am counting the days until I can return,” she said. Big news for rugby in England this week as the RFU has announced its new focus for the development of the women’s game over the next four years. Currently over 26,000 women and girls play rugby regularly in England. The 2017 target was actually 25,000 and so it has been reached and surpassed a year early. There are 300 clubs with a women’s or girls’ side. They also unveiled the “Red Roses” as the new identity for the England national side. “England Rugby has demonstrated its commitment to the women’s game. England Rugby has already announced 48 professional contracts for women players and the first-ever sponsored women’s series takes place in November with the Old Mutual Wealth Series against France, New Zealand and Canada. Also for the first time, and not to be underestimated, this season the Red Roses will wear the first custom-designed kit. Some bizarre news and some good news from cricket this week. In an abrupt about-turn, the ECB announced this week that the Women’s Super League 50 overs tournament, due to start in 2017 will now not happen. 2017 is going to be a big season with the World Cup taking place in England in July. But what on earth was the ECB thinking? Did they not see this coming? There was plenty of comment at the time the tournament was announced about fixture congestion and the availability of players. Expect more fall-out from this to follow. Australian women’s cricket, however, seems to have a good news story every week. Cricket Australia this week announced that the Lendlease Breakers will become Australia’s first fully professional domestic women’s sports team. The Breakers, based in NSW, have signed a major sponsorship deal with Lendlease ensuring that players will earn a minimum wage of $35,00pa. “This truly is a landmark moment. Cricket NSW has always been a leader in women’s sport and today we are proud to announce another first. “Every member of the Lendlease Breakers squad now has the opportunity to pursue a professional sporting career. This move comes hard on the heels of the new pay deal received by the Southern Stars, with their payment fund doubled to $4.23m from April 2016. It’s impressive stuff from Cricket Australia and the ECB need to be having a close look at what their antipodean counterparts are doing, in real terms, to progress their women’s teams. The Magenta Project takes a significant step towards realizing its ambition to bring more professional female sailors into high performance racing, this week. The entry into the Extreme Sailing Series™ Lisbon Act marks an exciting opportunity to provide some hard-core experience in the highly-charged, highly-competitive environment of stadium sailing. The driving force behind the entry, called Thalassa Magenta Racing, is New Zealand’s Sharon Ferris-Choat a Magenta Project Ambassador and currently the only female racing in the GC32 circuits. The entry is the culmination of work behind-the-scenes to secure sponsorship, as-well-as on the water: providing practical training opportunities, which took place last July in the Solent. “It’s been a journey to get to this point, but having this team competing in the penultimate Act of this year’s Extreme Sailing Series™ in Lisbon is a massive achievement. 3-9 October has been the second Women’s Sports Week, in case you missed it. There has been plenty of media coverage for the event with the great and the good of women’s sport making one appearance after another to push the women’s sporting agenda. The highlight for me was been the 5Live discussion on team sport with Kate Richardson-Walsh, Katy McLean, Tracey Neville and Casey Stoney (and Mark Sampson). Another welcome announcement is the new England Rugby plan for the women’s game and the national side renamed as the “Red Roses”. I’m yet to be convinced by “Team Up”, yet another initiative (as I tweeted somewhat wearily last week, “another day, another initiative”) which brings together England cricket, hockey and netball as they host world cups in England in 2017, 18 and 19 respectively. Seems a bit of a tenuous link, but, as I say, I’m here to be convinced. It has been a largely positive week, although I suggest you check out my blog next week when I devote a whole piece to it – the positive and the negative. And finally, two players from Sparta Prague’s men’s side may think twice before they speak from now on. After their 3-3 draw on Sunday, Sparta’s goalkeeper, Tomas Koubek tweeted that “women belong at the stove,” after the female referee missed an offside and their opponents equalised. He added “Women should not officiate men’s football.” His teammate, Lukas Vacha, tweeted a picture of the referee captioned “to the stove”. Neither his club nor the Czech footballing authorities were not impressed. The two players have been ordered to train with the women’s team (should be fun) and the Czech FA’s disciplinary committee will consider punishment in due course. This week’s stories come from tennis, netball, cricket, winter sports, hockey and cycling. Extra bits of early Saturday 27 news as I’m late posting! Poor fortunes for all of Britain’s top tennis players this week. British number two, Heather Watson, lost in the first round of the Abierto Mexicano Telcel in Acapulco. She was beaten by American Christina McHale 4-6 6-0 7-6. British number one, Johanna Konta, fared little better, getting to round two before she lost to Croatia’s Mirjana Lucic-Baroni 4-6 6-2 7-5. And Laura Robson has suffered yet another setback in her quest for fitness. Her wrist injury has forced her to pull out of the Monterrey tour event next week. She had been targeting the French Open in May for her Grand Slam return, but this may now be in doubt. After losing Sasha Corbin to injury for the season, Loughborough Lightning have suffered another blow with Jade Clarke announcing she is to leave to play for Adelaide Thunderbirds. The Australian season starts in April, which means she will only be able to play three more games for the Lightning, ending with the game at Team Bath on March 4. Lots of cricket news again this week. England finally triumphed 2-1 against South Africa in their three-match T20 series. After losing the second game poorly, England seemed in a more determined mood from the start. Edwards won the toss and put South Africa in. South Africa posted a decent total of 131/4, but England batted well, with another match-winning innings of 60 runs from Sarah Taylor, saw England win with 27 balls to spare. The only fly in the ointment was the quality of the England fielding which, at times, was abysmal. It will have to improve before the T20 World Cup in March. For a more depth analysis of the series read my article for www.womenssportsuk.com. On the domestic front, more details of the new summer Superleague were released this week. The six host (the ECB are still allergic to the word “franchise”) names have been released. They are: Lancashire Thunder (playing at Old Trafford), Loughborough Lightning – that’s not confusing is it? (playing at Loughborough University), Southern Vipers (playing at the Ageas Bowl in Southampton), Surrey Stars (playing at the Kia Oval), Western Storm (playing at Bristol and Taunton) and Yorkshire Diamonds (playing at Headingley). The games will be played between July 30 and August 14 – 15 group matches in 16 days. Finals day will be on Sunday August 21 and will be played at Essex’s county ground in Chelmsford. News of squads will follow shortly. The epic hockey series between Great Britain and Australia finally came to an end in the home side’s favour as they beat Britain 3-2 in the final Test to take the six-game series 2-1. The Hockeyroos took the lead after five minutes thorough a Georgina Morgan penalty corner and the lead was doubled just before half time through a goal from Emily Smith. The game seemed to be beyond GB when Grace Stewart scored a third five minutes into the second half. Great Britain fought back through Sophie Bray and Joie Leigh, but were unable to find the equaliser. The team were heartened by this performance and by the series as a whole. It stands them in good stead for the build up to the Olympics in Rio later in the year. What started out as a good week for Lindsey Vonn ended in agony. She won the downhill title in La Thuile, Italy, a record 20th World Cup trophy, as she finished second in the penultimate race to go 173 points ahead of Canadas Larisa Yurkiw, with only 100 points left to win in the last race. But on Saturday 27, Vonn crashed out in the World Cup super-G event in Soldeu-El Tarter, Andorra, and was taken to hospital. The American team spokeswoman reported that Vonn has hurt her knee, but the extent of her injury is, as yet, unknown. The race was stopped for ten minutes to allow a rescue sled to access the course and take the injured skier away. In other skiing news, Vanessa-Mae has been awarded damages for defamation from the FIS (International Ski Federation). They had claimed that her qualification for the 2014 Winter Olympics had come through fixed races, but the Court of Arbitration for Sport cleared her of any wrongdoing. The FIS has apologised and Vanessa-Mae intends to donate her damages to charity. Her four year ban was also overturned. She intends to try to qualify for the 2018 Winter Olympics in PyeongChang. In curling, Eve Muirhead’s rink was named Scottish curling champion this week. It is sixth time that Muirhead’s team has become champion, and will now represent Scotland in the World Women’s Curling Championships in Canada in March. I didn’t get chance to report on another gold for Great Britain in the Winter Youth Olympics last week. Ashleigh Pittaway won the skeleton bob in one minute 50.23 seconds, 0.96 seconds ahead of Germany’s Hannah Neise. Madi Rowlands had taken Britain’s first gold in the ski halfpipe on Sunday 21 and added a bronze to her tally on Friday, this time in the sky slopestyle. Cycling road race world champion Lizzie Armitstead has started her season in the best possible way, winning the Omloop Het Nieuwsblad in Belgium. Her team mate Chantal Blaak took second with Tiffany Cromwell in third. And finally, last week saw the SJA British Sports Journalist awards. In the 31 categories, there were only six women writers, six photographers and two broadcasters nominated. I could write about men’s sport – I love it – and possibly earn a living, but I choose to write about women’s. This is a whole different matter. It is still incredibly hard for a woman to make it in the macho world of sports journalism, writing about men’s sport – it’s even harder to build any kind of profile writing about women’s sport. I know I’ve mentioned this before, but there are a lot of people (women and men) doing their very best to promote women’s sport for absolutely no remuneration whatsoever (including me). Rarely will any of these people receive the recognition they are due. It’s not that they don’t need or want to make money, but until women’s sport is seen as worthy of sponsorship, mainstream coverage etc., etc., this situation will continue. So much going on! Plenty of news this week from cricket, football, rugby union, darts, skiing, motor racing and tennis. Phew! But first, it’s a year since the launch of the This Girl Can campaign. Figures released this week show that 1.6m girls and women between 14 and 40 have started exercise as a result of the initiative. More than half a million follow the campaign on social media. And though it’s not for me to advertise retailers, I must add that there is a great new range of sports clothing featuring the This Girl Can slogan now available at Marks and Spencer. This is the second selection – the first having sold out in no time flat! If you haven’t bought into it yet, I would encourage you to do so – whatever age, size or shape you are there is something out there that you can enjoy and even excel at. Check it out. In cricket, the ECB yesterday announced the six “hosts” (we’re still not using the word “franchises”) who have won four-year contracts for the new Women’s Cricket Super League, which begins this summer. The most surprising omission from the list is the combined MCC/Middlesex bid which did not get through. At the moment there are no more details, but follow this column and details will be added as soon as they have been released. WBBL is reaching its climax in Australia. Numbers of games played has evened out somewhat and top of the pile at the moment is Sydney Thunder with eight wins from 12 games – 16 points. Second comes Hobart Hurricanes on 14 points from the same number of games and third, behind on net run rate only, the Melbourne Stars. The other Melbourne side, the Renegades is rock bottom on six points from 11 matches. In international football, a new tournament was announced this week – the SheBelieves Cup. It will take place in March in America and will be between the hosts, England, Germany and France. England will play USA on 4 March, Germany on 6 March and France on 10 March. No news yet as to radio or TV coverage. “The opportunity to compete against the three best teams in the world is a crucial step in providing more opportunities for the team to develop. “Women’s soccer in the USA is on a real high since their World Cup success and we are excited to feel that sense of enthusiasm for the game in some wonderful football stadiums. More good news for England this week as Mark Sampson signed an extended contract which will keep him as coach until 2019. In more international news, the Ballon d’Or awards were held this week. Unsurprisingly, USA national team coach, Jill Ellis was named 2015 FIFA Coach of the Year for Women’s Football. Norio Sasaki (Japan) was second Mark Sampson (England), third. The FIFA Women’s World Player of the Year was USA’s Carli Lloyd. She scored a 13-minute hat-trick in the World Cup Final of 2015 against Japan. Runners-up were Celia Sasic (Germany) and Aya Miyama (Japan). In domestic news, Millie Farrow and Jodie Brett have joined Bristol City from Chelsea on a season-long loan. Women’s Football. Baroness Campbell was head of UK Sport from 2003-2013. Kelly Simmons, the FA’s director of participation and development, called Baroness Campbell “one of the most influential people in British sport”. Campbell’s priorities will be the encouragement of grassroots women’s football and the continued improvement of the England women’s teams. The rugby Premiership final will be between reigning champions, Saracens, and Richmond. There were contrasting semi-finals last weekend as Saracens had to fight hard to beat a tough Lichfield side 19-12 at Allianz Park. The second semi-final saw Richmond take Worcester apart with a 35-0 win. The final, at the Twickenham Stoop, will be live on Sky Sports 5 on Sunday 17 January. The programme begins at 17.25 and the game begins at 17.30. At the other end of the table, the relegation decider will be between Wasps and Aylesford. This also takes place this weekend. Results and news in next week’s column. Trina Gulliver duly triumphed in the BDO darts final last Saturday, to take her 10th title. In an all-English final, she beat Deta Hedman 3-2. It was yet another disappointment for Hedman, who lost her third Lakeside final. It’s good to report on a bit of skiing and Lindsey Vonn is always worth a few words. Vonn claimed her second win in two days this week at the Alpine Skiing World Cup event in Austria, when she won in the super-G.
She had already won the downhill on Saturday, which equalled Annemarie Moser-Proll’s record of 36 World Cup downhill wins. Vonn is still some way short of the overall World Cup wins record, which belongs to Ingemar Stenmark with 86. Vonn stands on 73. Only two months after retiring from driving in Formula 1, Susie Wolff this week unveiled her new initiative to get more women into motorsport. The new scheme, called Dare to be Different, aims to encourage women in motorsport but also to increase their confidence and knowledge in other areas, including the media, nutrition, fitness and diet. “build an online community of women from all over the world. The women involved will also mentor each other and one outstanding candidate will earn a scholarship in karting. After Wolff’s somewhat discouraging experiences in this most male-dominated sport, it is good to see that she thinks progress can be made and even better that she thinks she is the one to take the lead. The draw for the Australian Tennis Open has been made. There are two British women in the draw with Johanna Konta up against it having drawn eighth seed Venus Williams in the first round. Heather Watson will be more evenly matched as she comes up against Timea Babos of Hungary. Watson is currently 53 in the world with Babos at 59. Naomi Broady will not be in the draw, after having such a good run in Auckland a fortnight ago. She was knocked out in the first round of qualifying, losing 6-3 2-6 6-3 to world number 166 Alize Lim. According to ranking it was a match Broady, at 112 in the world, should have won. Many thanks to Women’s Sports UK for inviting me to contribute my thoughts on the Women’s Ashes. Once I started I couldn’t stop!